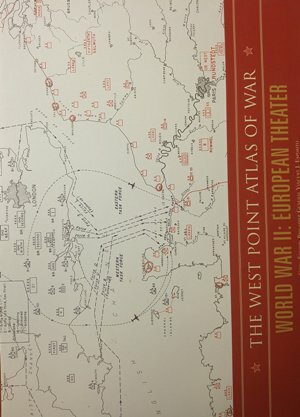 Originally published in 1959 as part of a two-volume set, The West Point Atlas of War: World War I provides a unique way of studying military history. From Europe in 1914 to the Meuse-Argonne Offensive, detailed maps delineate the course of the many, sometimes confusing, conflicts that defined World War I. They also create a fascinating visual tribute to the ingenuity of troop movements by detailing the progress of forces from day to day (and sometimes from hour to hour). The accompanying text provides insight into the many twists and turns of the war, as well as the motivation of the leaders directing the troops who carried them out. Considered a classic of military history, the original volumes were prepared by distinguished members of the Department of Military Art and Engineering at the U.S. Military Academy and used as instructional tools for cadets. This mammoth and invaluable work was created under the direction of Brigadier General Vincent J. Esposito, a faculty member at West Point for more than twenty years. His highly respected endeavor allows readers to easily follow the entire course of a campaign or battle in detail while gaining a greater understanding of World War II.